I don't normally read books concerning spiritual warfare. However, an acquaintance and brother in Christ from North Carolina, Patrick Bucksot wrote one. I agreed to read and review his book. It took me longer than planned to finish Patrick's book and write my review...for that I apologize to Patrick. He has waited patiently. 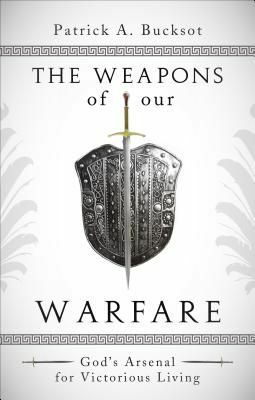 "Weapons of Our Warfare" covers 23, yes that says 23, weapons Christians are equipped with by God for building up God's kingdom. Bucksot even includes the "fruit of the Spirit" from Galatians 5:22 in his list. I will not even try to debate if the list in Galatians is one fruit with nine characteristics or nine fruits. That is not the purpose of this blog. Bucksot has Scripture throughout the book as examples for the 'weapons of warfare' being discussed. He does use scriptures many will be familiar with and this could be both good and bad. Good because people will recognize the people in his examples but bad for some will skim or totally skip the scripture portions. It is a practice of discipline, even for this blogger, to not skip over sections of scripture which are familiar. When we assume we know it all we are being prideful. Bucksot covers pride when discussing the weapon of humility. He further introduces the concept of false humility (a form of pride) in the section on humility. Yet, Bucksot is not just spewing a bunch of words in his book and stating this is how it is. He shows humility when he tells his readers, "You should...check out what I write. 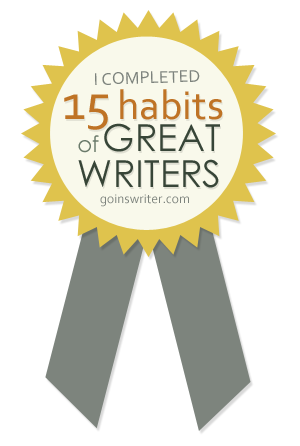 As much as I want to glorify God with every word that I type, I am apt to make mistakes." That statement is from a man wanting to see God's kingdom built up not his own. On the other hand, it would have been nice to see some not-so well known examples scattered throughout the book. This would have people grabbing their bibles to check out what Bucksot wrote. "We cannot treat His (God's) Word like a book of catch phrases." ---Patrick Bucksot, "Weapons of Our Warfare"
Check out what he has written.